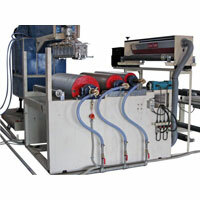 Jailaxmi deliver excellent quality Extrusion Coating Lamination Plant. 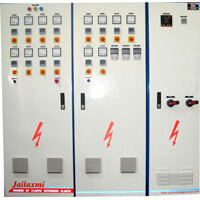 Jailaxmi Extrusion Coating Lamination Plants Jailaxmi offer are made from best quality parts with Jailaxmi well-designed control mechanism. 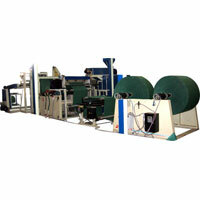 Jailaxmi Extrusion Coating Lamination Plant is known for fast and accurate lamination of items. 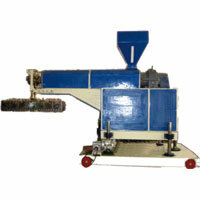 Jailaxmi Extrusion Coating Lamination Plant supports superior coating / lamination of LDPE/LLDPE on cotton cloth, woven fabric, paper, polyester film, and aluminum foil etc. 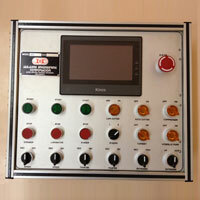 â��Touch Screen Typeâ�� Operation Panel & Synchronized System. 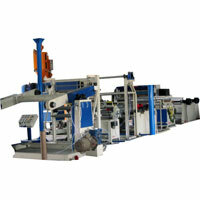 Laminator Roll Width 39" 45" 52" 56" 65"
'T' Die 39" 45" 52" 58" 65"